November 14: Knott Crockett is born in Clinton, Seneca County, OH to James and Mary Crockett. September 18: The U.S. Federal Census enumerated in Adams Township, Seneca County, OH shows 18-year-old Knott living with his parents and siblings. His father, James, was a farmer with $6,000 in real estate. 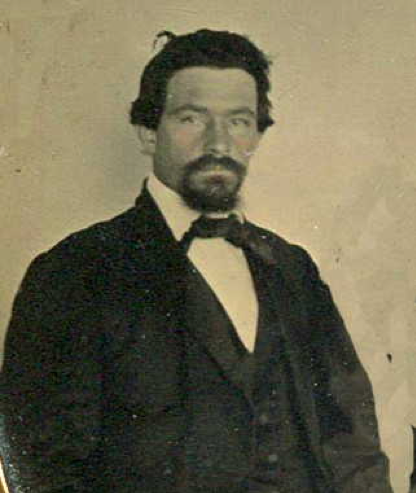 August 12: Knott enlisted in the U.S. Army. August 30: Knott mustered into Co. I of the 101st OH Infantry. He was promoted to full Corporal. June: A page of the Civil War Draft Registration has a page of “Now in Service” which lists Knott as currently serving in 101st OVI, Co. I.
August 30: Knott was promoted to Full Sergeant. November 30: Knott was mortally wounded in the battle of Franklin with a gun shot wound to the head. He died in a Regimental Hospital.